We recommend separate registrations for each of your classes. For every class you register you receive an ESSI Money Game Link for students to play the game and a Teacher Only Class Link. Each game link allows for a maximum of 40 students to play 5 games each. Just register for a new game for extra classes or if you have more than 40 students playing. To keep your class management page organised, it’s a good idea to clearly label your class name, for example, 2017 Term 1 Year 9B Mathematics. You can register as many classes as you need as often as you like. 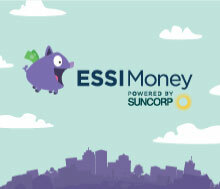 ESSI Money is an interactive structured financial literacy e-learning game, designed around the concept of a challenge or quest. The player is required to make a series of financial decisions over a period of time in order to achieve the best possible financial result. The player experiences the consequences of decisions made throughout the game. Events are random, and no two games are the same. The positive and negative effects of financial decisions made over an extended period of time are demonstrated. The game uses educational scaffolding (through Finance Weekly articles and quizzes) to create an authentic learning experience. The outcome of the game is the net worth (assets less liabilities) the student has at the end of the 6 month period. Throughout a unit of study lessons can be designed around Finance Weekly articles. You are supported by Content Notes and technical assistance via this website. Full text for each of the Finance Weekly articles is provided in Finance Weekly content notes which give you the flexibility to plan your lessons around the game. Access the teacher dashboard by clicking on the VIEW CLASS tab in the ESSI Money Class Management link on your profile page, or by clicking on the Teacher Only Link sent via email. A leader board with a range of reporting data is accessible for each of your registered classes. You are able to select and track an individual student’s weekly activity as they progress through the game. You can also review diary entries and results for both Finance Weekly Quizzes and random end of week questions.